And the answer is Number 12. In the final game of a long disastrous road trip, one in which the Bulls went 1-5, MJ’s number 23 jersey was stolen from the Bulls locker before the start of the game. With no spare MJ had to wear number 12 as he took the floor against the Magic that night. Jordan went on to score 49 points to lead all scorers but eh Bulls still lost in OT 135-129. Watch this video detailing The Time Michael Jordan's Game Jersey was STOLEN! Published by Cosgrove Prod. on May 27, 2017. 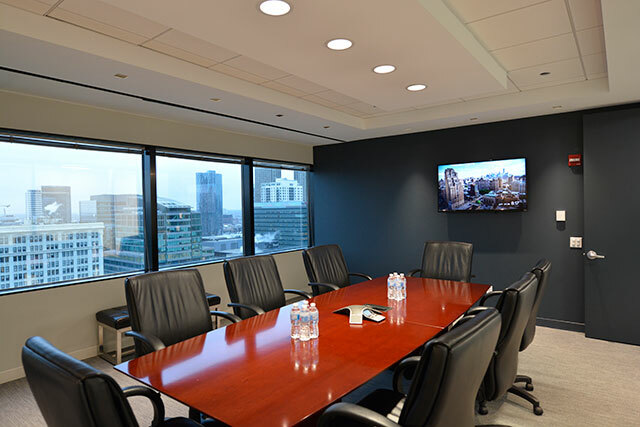 JLL engaged BEAR to build out their 17th floor amenity center at 200 W. Adams. The entire fitness center and locker rooms were built on a raised floor system to conceal under-floor electrical, plumbing and HVAC. The fitness center contains all the latest exercise equipment including a bouldering wall and boasts a lounge, kitchen, private showers and lockers. A state of the art conference center with a private kitchen is accessible for tenants to host meetings and parties. 24’ high ceilings open up the space to natural light, creating an impressive environment accented by custom millwork and a variety of comfortable seating options. 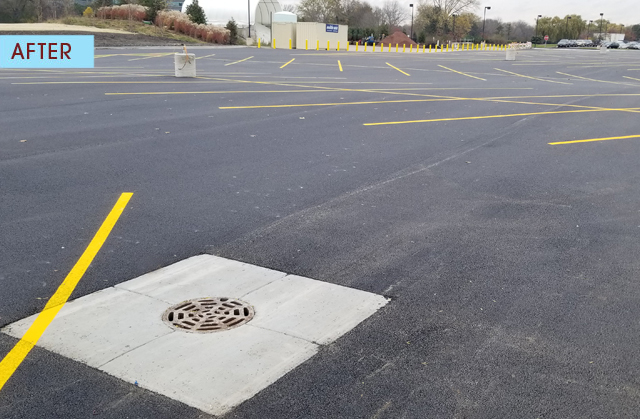 BEAR’s Project Manager Brad Tatro handled the project with support from Project Executive Christine Lussow and Superintendent Rick Herrmann. GREC Architects was the designing architect. 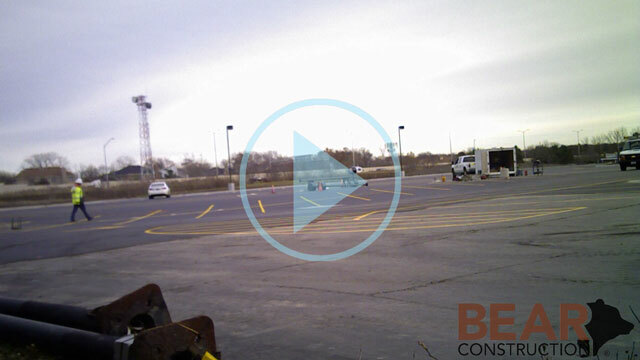 “…I just wanted to say how impressed I am that you’ve got the lots open for use today. The time in which you delivered this finished product to us is nothing short of amazing. I realize the project isn’t complete, but the fact that employees parked in both of these lots today is awesome. Thanks again for killing this project timeline. 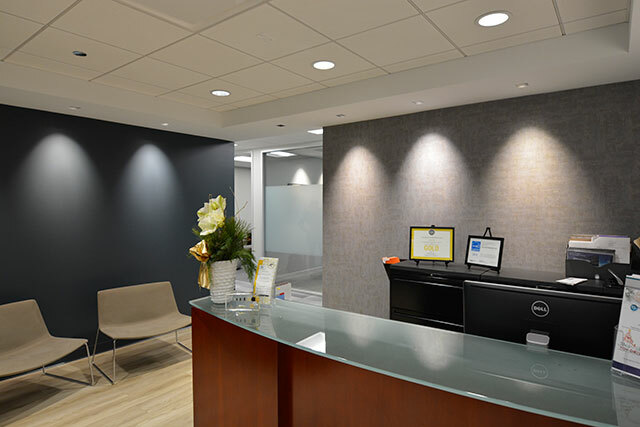 Nice job!” – Confidential Suburban Client. 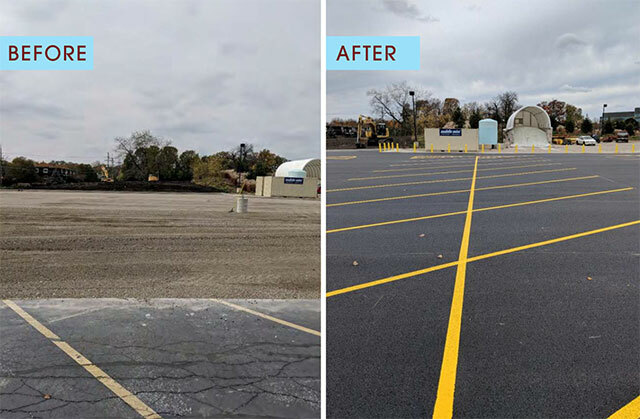 Project Executive Bill Webb, Project Team Supervisor Lori Luna, Project Engineer Ian Saboya and Superintendent Steve Bryant simultaneously managed two parking lot projects for BEAR for a confidential suburban client. The schedule to build each lot from scratch and deliver them was unimaginable, but BEAR pulled it off and opened the 29,400 sq. yd. lots for employee parking on time! 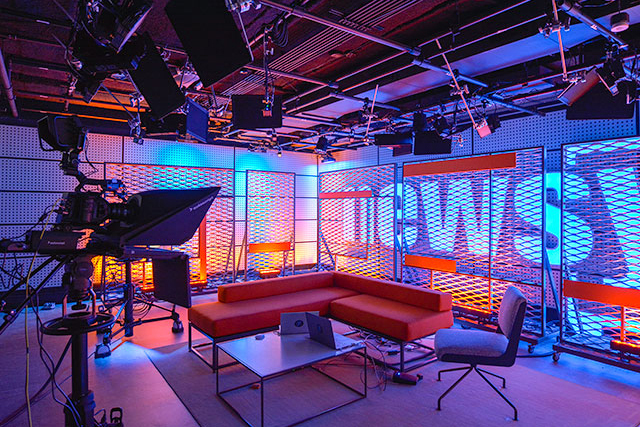 EW Scripps, which owns Newsy, retained BEAR to build out 16,000 sq. 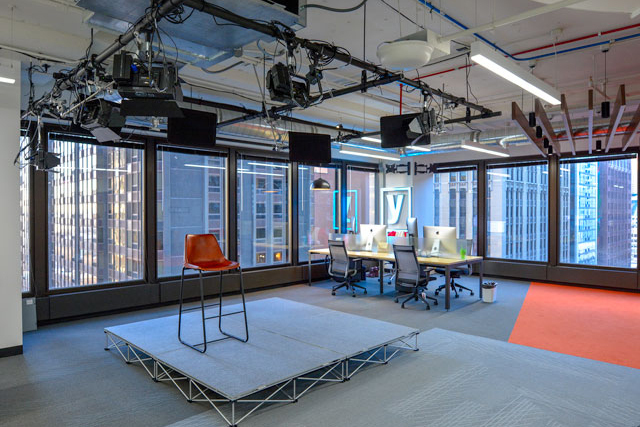 ft. of their new media space at 205 N Michigan. 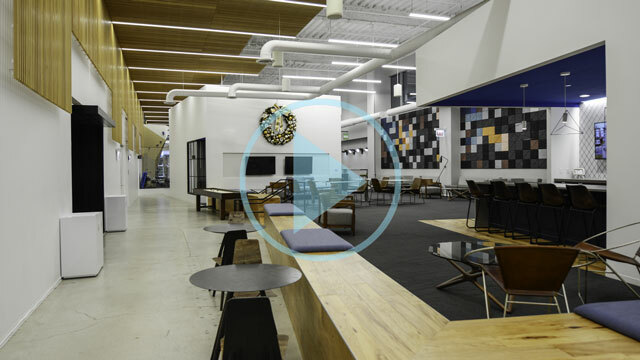 Newsy is a source for concise, unbiased video news covering top stories around the world. 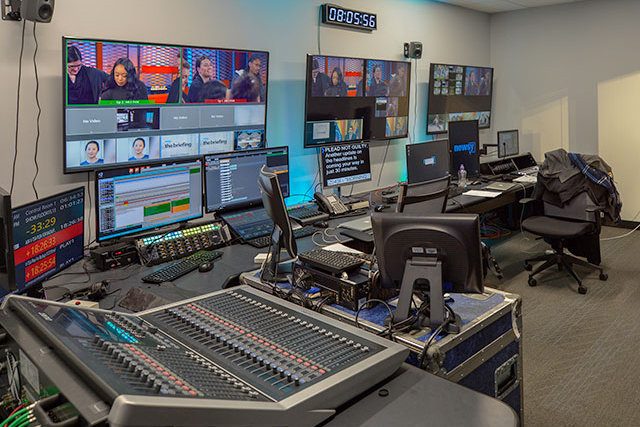 Project Executive Josh Christ managed the construction project that included three STC rated news studios supported by independent video control rooms. The studio sets were designed by Jago Design. 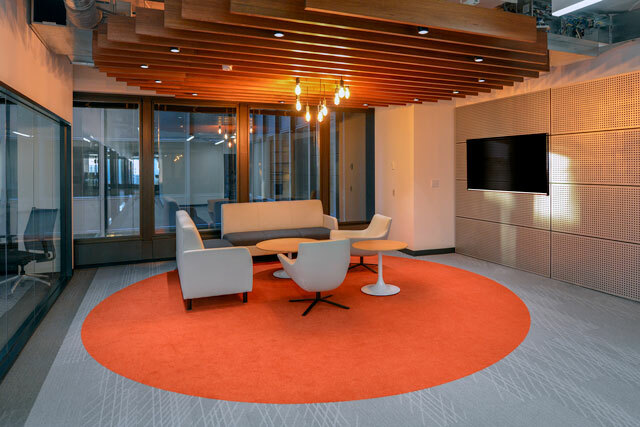 The office space was designed by architect Rixey & Blum, Inc. and engineered by ESD. 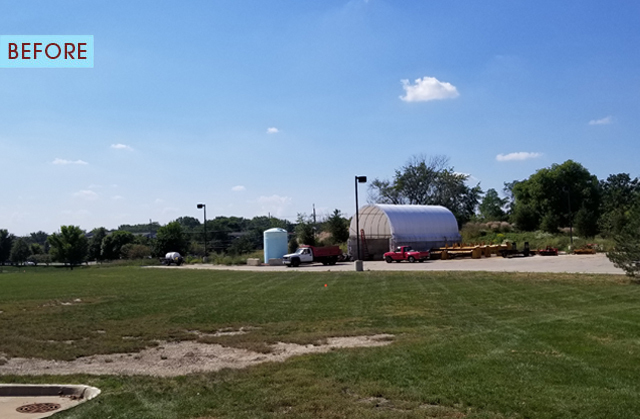 The 13 week project schedule was supported by BEAR’s Project Team Supervisor Pam Kowalski, Project Engineer Nick Kilianek, and Superintendent Mike Reda. This well oiled machine assisted Josh throughout the schedule. Sr. Estimator Adam Hill estimated the project for BEAR. 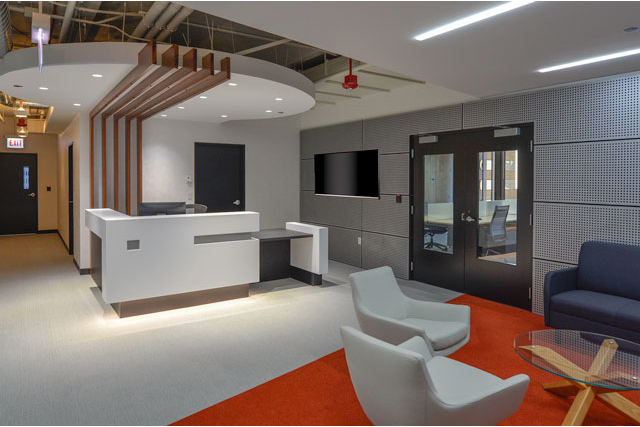 JLL employed BEAR to build out their office of the building on the 19th floor at 300 S. Riverside. 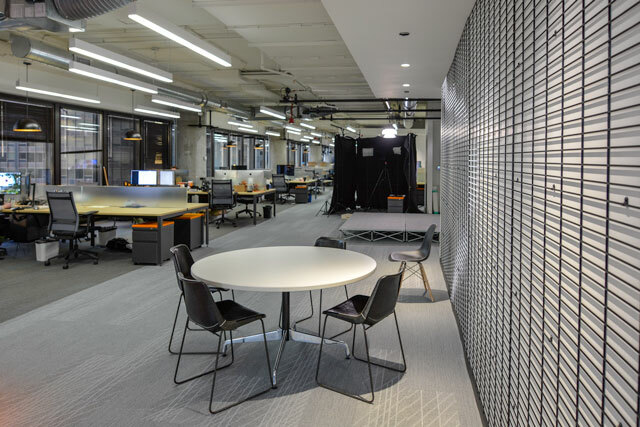 The new space was designed by Merrifield Architects with McGuire Engineering laying out the mechanical. Assistant Project Manager Katelyn Petraitis managed the project and Mike Reda was the Superintendent for BEAR. 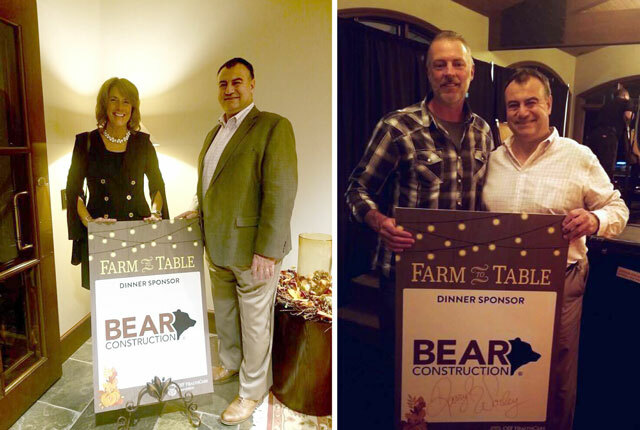 BEAR President Jim Wienold and Alicia Gabriel attended the OSF Healthcare Foundation “Farm to Table” dinner event. 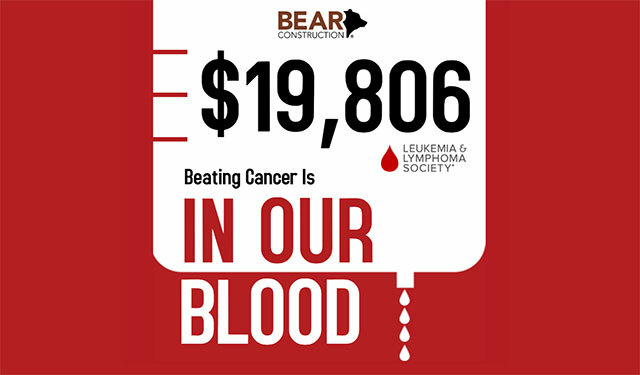 BEAR was the dinner sponsor for this event with proceeds directly benefitting Central Illinois through OSF Healthcare’s Comprehensive Cancer Center Initiative. Entertainment was provided by Darryl Worley who is pictured to the right with Jim. 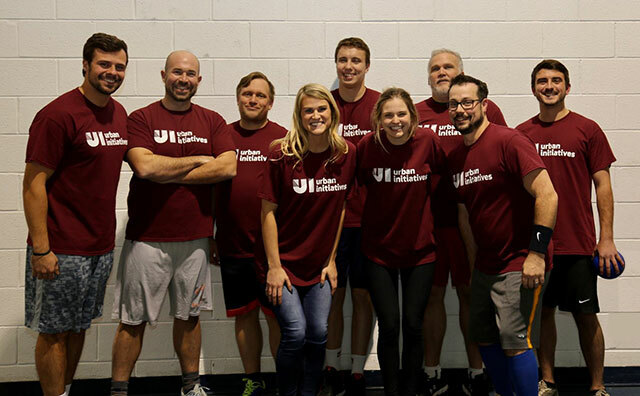 BEAR ran their Dodge Ball Team on the court at the invitation of MB Real Estate to benefit Urban Initiatives. UI provides Chicago youth with opportunities to grow and learn, especially in academics, health and leadership development. FUNDING THE ROAD TO CANCER CURES! 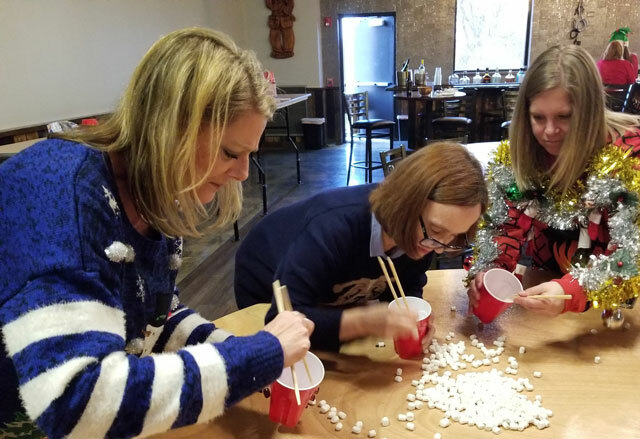 BEAR's Milwaukee office supported the REACH (Real Estate Alliance for Charity) Bowling for Charity event in Milwaukee last November. 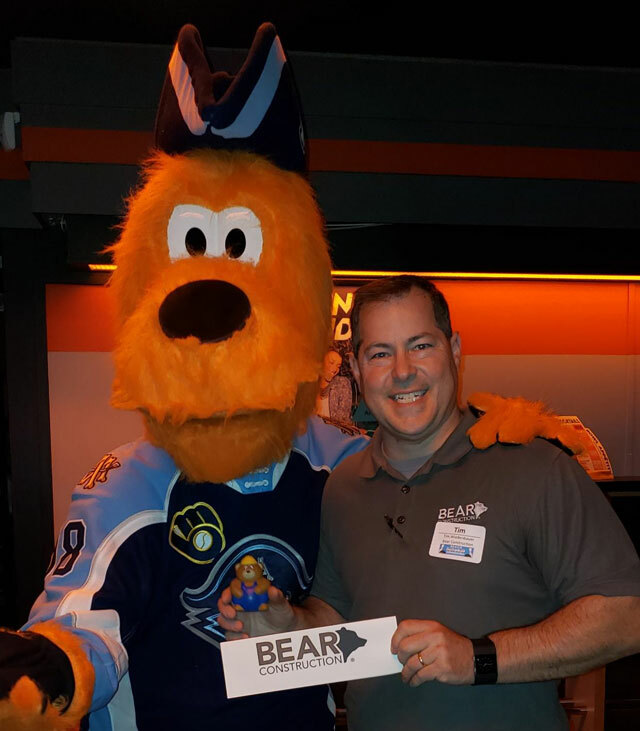 Project Executive Tim Wiedenbauer and Roscoe, the Milwaukee Admirals mascot, ham for the camera. EVERY CHILD DESERVES A TOY! 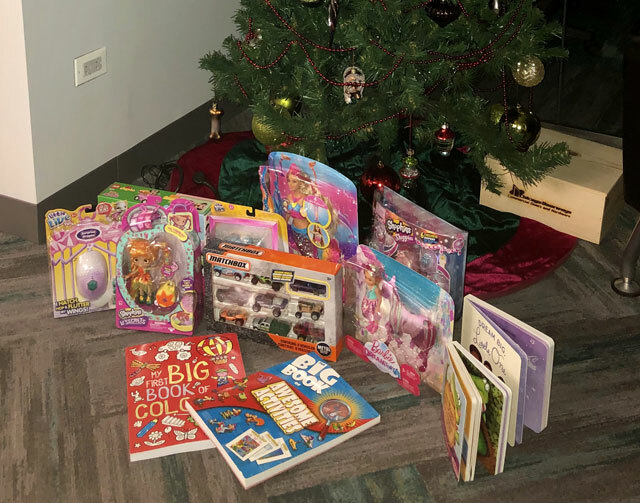 Continuing an annual tradition, BEAR set up donation locations at our Rolling Meadows and Chicago offices to accept toys from our employees and friends. The results were outstanding! 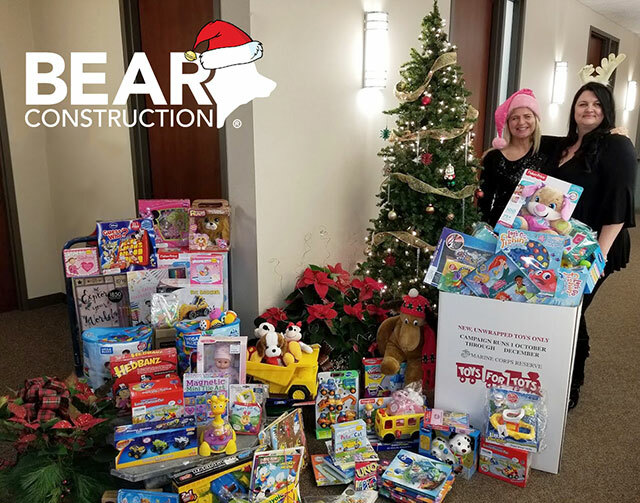 The toys were presented to Toys for Tots along with an additional $1,000 from BEAR to help further TFT’s mission. 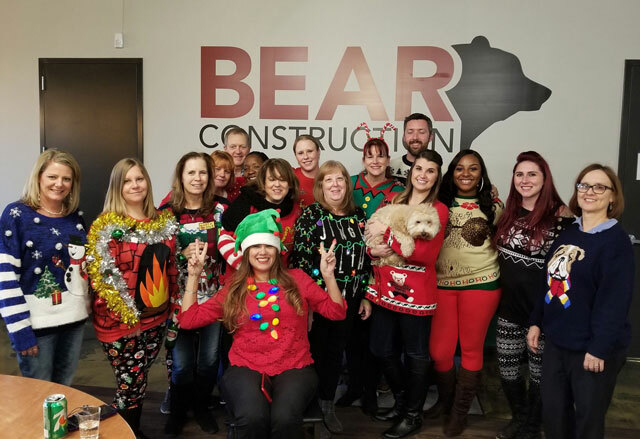 BEAR's Administrative and Accounting teams held their annual holiday party with an ugly sweater theme. We think the photos speak for themselves. 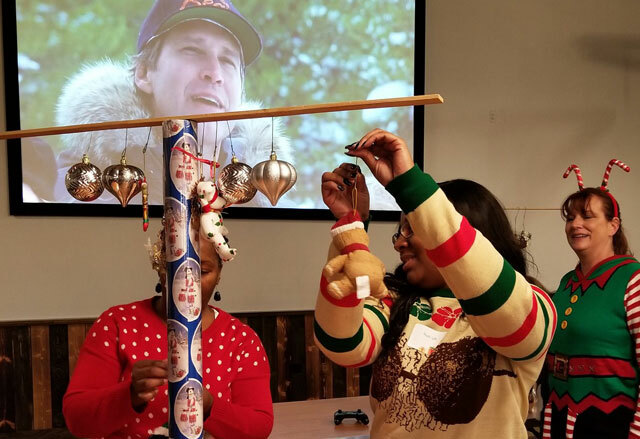 Everyone had a great time and thankfully stashed away those fine sweaters until next year! 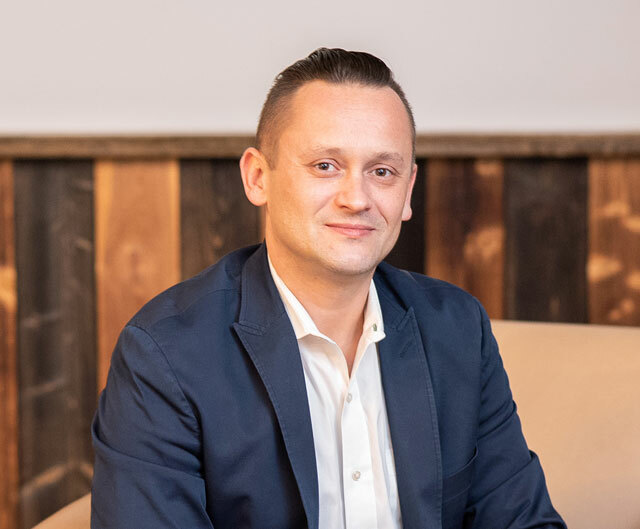 Joseph Stamborski works from BEAR’s Milwaukee office as an Account Executive. 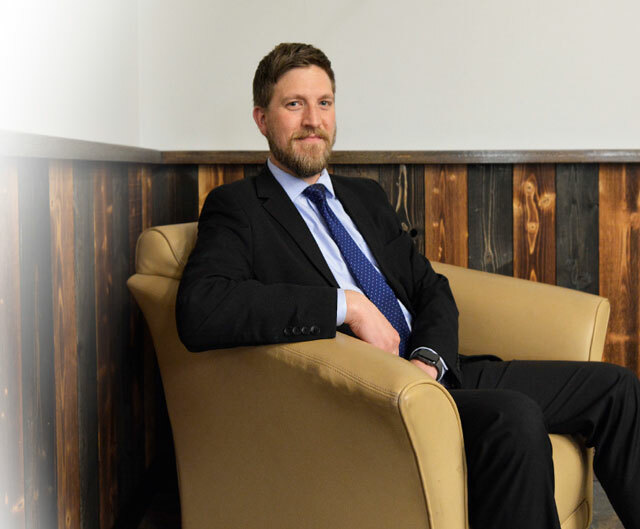 Rad Poltorak is BEAR’s new Healthcare Project Manager working from Rolling Meadows. 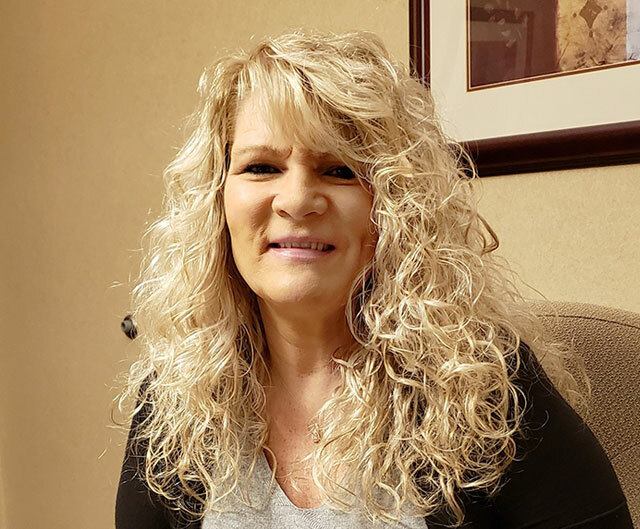 Suzanne Lawrence joined BEAR as an Assistant Project Manager working from our Bradley office. 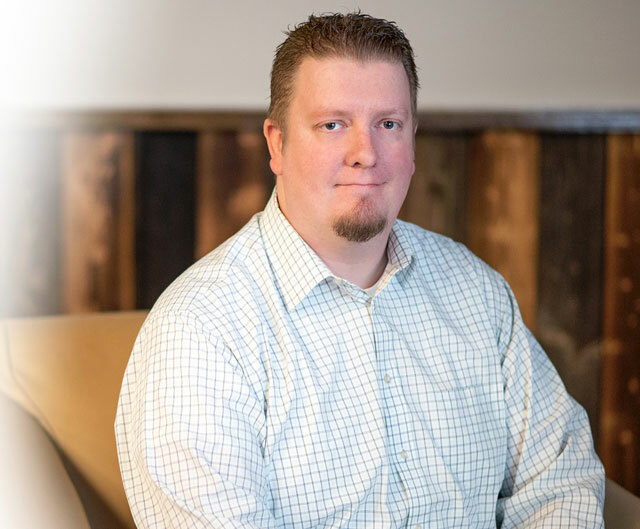 Cody Stambaugh Joined BEAR as a Project Manager in our Rolling Meadows Office.